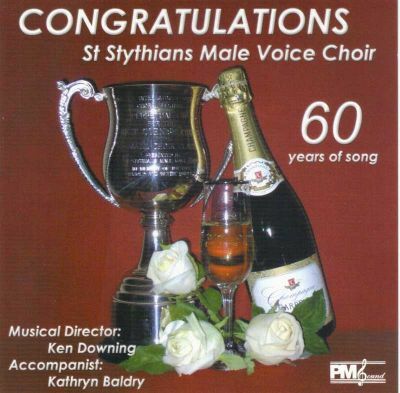 St Stythians MVC, Congratulations is a celebration of 60 Years of Song recorded in 2007. Some Enchanted Evening, Hymn to Apollo, African Prayer, Rhythm of Life, Alexander’s Ragtime Band and of course Congratulations! !